AN/FGC-5 OR AN/UGC-1 sets. 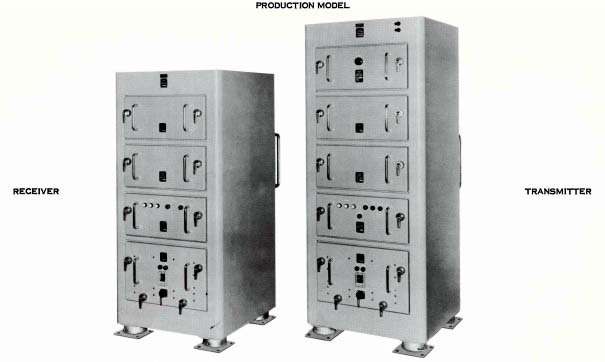 The UCG-1 was the transistorized version of the FGC-5 set. Selectable were tow, three and four channel modes. Keymat was provided in the form of punched cards. KW-22 was a vacuum tube device with about 300 tubes in the receiver and 400 in the transmitter. Unit cost: $20,000 or $22,000 depending on the source. Training: 17 week course at Mare Island. Eight weeks devoted to KW-22; Nine weeks to KO-5. For a more detailed look at the KW-22, please select this link.